Matt earned his diploma from Elkins High School, and then graduated from Fairmont State with a bachelor's degree in elementary education, K-8 Multi Subjects. He earned his Master's degree in Educational Leadership from Marshall University. Matt began his career in education as a teacher for Kanawha County Schools. Upon completion of his administrative degree, he got his first job as a school administrator by serving as an elementary school principal in Barbour County. 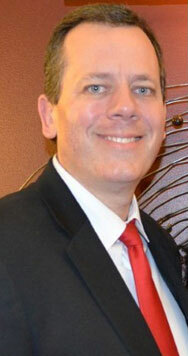 As Matt continued his career, he became a unique educator by earning administrative experience at all levels of public education; elementary, middle, high school, as well as the central office level as a Curriculum Director of Elementary and Middle Schools, Curriculum Director PK-12, Assistant Superintendent, and Superintendent of Schools. After serving as Superintendent of Barbour County Schools, Matt went to the West Virginia Department of Education's Office of Institutional Education Programs as Superintendent. He quickly immersed himself within OIEP, successfully redesigning and aligning resources with the organization's identified needs, securing legislative improvement packages to expand OIEPs system, served as a Commissioner for the Legislative Commission to Study Children in Out of Home Placements, and was a board member for the West Virginia Supreme Court of Appeals Court Improvement Program. In August of 2008, Matt became the first principal for the on grounds school at Academy Programs. Matt notes that the success the on grounds school has experienced is attributed to an excellent education staff and the collaborative relationship that exists between the WVDE school and Academy Programs. Within the first year, the students accrued credits toward a high school diploma at a 97% rate, while maintaining an overall GPA above 3.0. Matt has three children and enjoys hunting, fishing, golfing, farming, and is a custom knife maker in his spare time. He claims superiority over Director of Operations, Terry Collins in the area of harvesting game animals.